Halloween is one of my favorite times of the year. Once you have kids you quickly learn just how scary Halloween can be. The best thing we can do as parents is just be aware of the dangers. It is also very important to talk to our children about the things they need to do to stay safe and the things not to do. 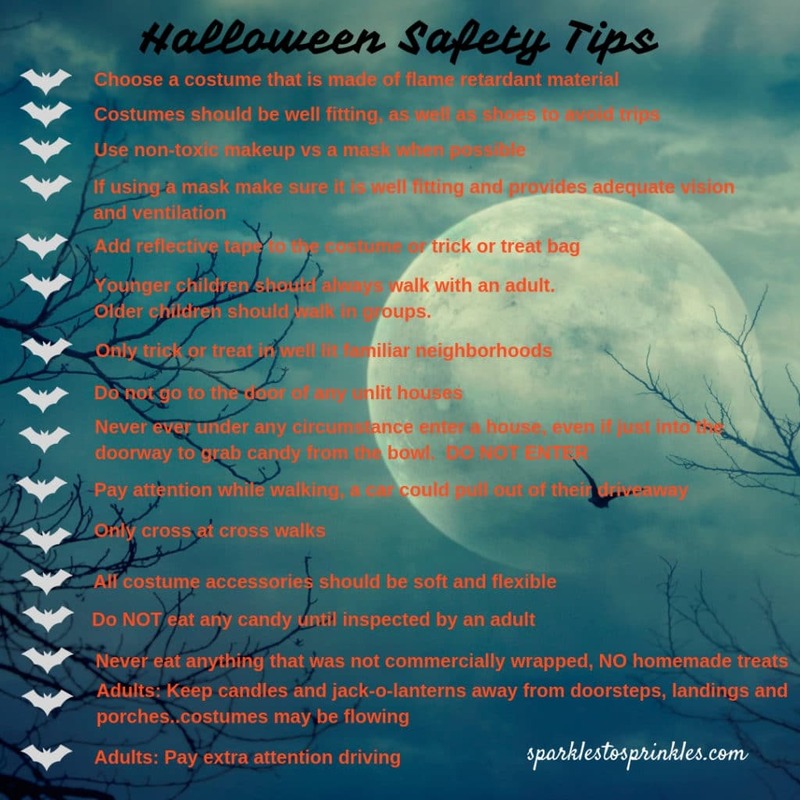 This Halloween Safety Tips list is a pretty good comprehensive list to help keep your little ones safe. Now that we have covered the safety aspect of Halloween lets get back to having some fun. Of course with Halloween being one of my favorite holidays, I have tons of holiday tricks and treats on the blog. Enjoy searching around for other holiday gems. Be sure to check out our Mickey & Minnie Halloween Cookies, as well as our hugely popular School Approved Frankenstein. 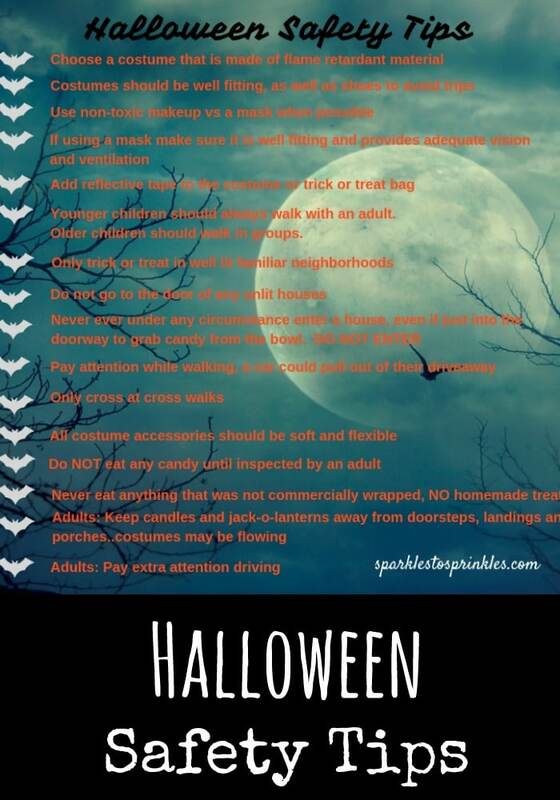 Please print these Halloween Safety Tips and put it on your fridge. Use it to start having conversations with your children about what steps they need to take to be extra safe.